Project management modules in PLM help companies monitor performance, schedule resources, and guide communications to make sure project requirements and deadlines are both met. Schedules are updated and resource assignments are automatically delivered as each deadline is met. At Razorleaf, we know project management inside and out; it is the most common conversation with new clients. Some companies are already using a PLM system, yet have not automated this very foundational business process. Others are only now moving beyond using spreadsheets and file folders as their basic tool set. 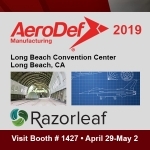 No matter where your company is on the digital continuum, Razorleaf can help evaluate company needs and guide your business in installing and implementing the best-fitting software solution in a vendor-agnostic and open process. When project management solutions become part of the manufacturing routine, saving time is saving money. According to research firm Aberdeen Group, the use of project management software in manufacturing increases project return on investment by 28%, compared to similar firms not using PLM-based processes. These companies also complete 26% more projects either early or on-time. A study from ProjectSmart shows that companies using PLM-based project management tools reduce the median cost of a project by up to 75%. Modern project management systems eliminate the need for regular meetings just to discover the status of a project. Project managers don’t need to constantly walk the halls and shop floors to keep up. These activities may feel productive, but in today’s complex world of manufacturing at Internet speed, they are time wasters. Most project managers schedule based on matching key deliverables to critical milestones. To measure achievement, many project managers use a business process called Key Performance Indicators (KPIs), a measurable value that shows how effectively a company is achieving key business objectives. By integrating project management into PLM, a manager’s schedules, deliverables, and performance goals become part of the “single source of truth” that makes PLM an engine of efficiency and innovation. 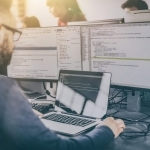 Specific services and features vary by vendor, but all offer the PLM vendors tools to help project managers track performance, monitor resource utilization goals, and match critical tasks and deliverables to the schedule. Milestone data can be matched with budgets, schedules, and resource allocation. Razorleaf can guide you to the right fit for your company’s needs. Scorecards, KPI metrics, and reports. Razorleaf understands the dynamic nature of modern manufacturing processes and how project goals and requirements can evolve over time. We have years of experience in guiding clients through our robust, disciplined implementation processes to help keep projects flexible yet focused. Your needs are unique, and the solution we implement together will match your specific environment.